Choquequirao is recognized as the sister of Machu Picchu. Both places have many similarities. However Choquequirao is one of the most remote Inca settlements in the Andes of Peru. And still not many tourists visit it. 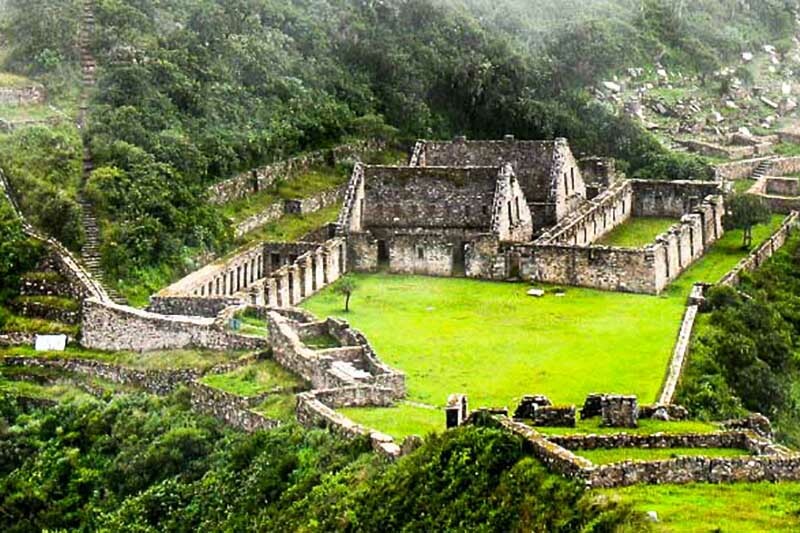 What is the Inca city of Choquequirao? What was the importance of Choquequirao? Is Choquequirao the last Inca refuge? Where is Choquequirao in Peru? How is the walk to Choquequirao? How is the walk from Choquequirao to Machu Picchu? What is the weather like in Choquequirao? Choquequirao was an ancient Inca urban center. The American explorer Hiram Bingham knew the site in 1909 (before arriving at Machu Picchu). However, the excavations are slow and continue to date. Inevitably Choquequirao was called the ‘Sister of Machu Picchu. But, while the Wonder of the World receives around 5 thousand visitors a day, ‘Choque’ is almost completely deserted. As Machu Picchu, his famous sister, Choquequirao seems to have been a kind of royal city for the Inca nobility. It was built one or two generations before the arrival of the Spaniards. It has several buildings such as the ‘Kallanka’: two ceremonial rooms with stairs and irrigation channels inside. It is one of the most important constructions. It is possible that Choquequirao was the last refuge of the Incas when the Spanish invasion occurred. Due to its location, in an isolated place, it is thought that the Incas retreated during the Spanish ascent. Choquequirao (Cradle of Gold in Quechua) is an Inca archaeological site located in the most remote of the Andes of Cusco, Peru. The ‘Sister of Machu Picchu’ is in the Vilcanota mountain range, in the Salkantay massif. Due to its difficult location, currently, it is only possible to arrive with a hiking route. 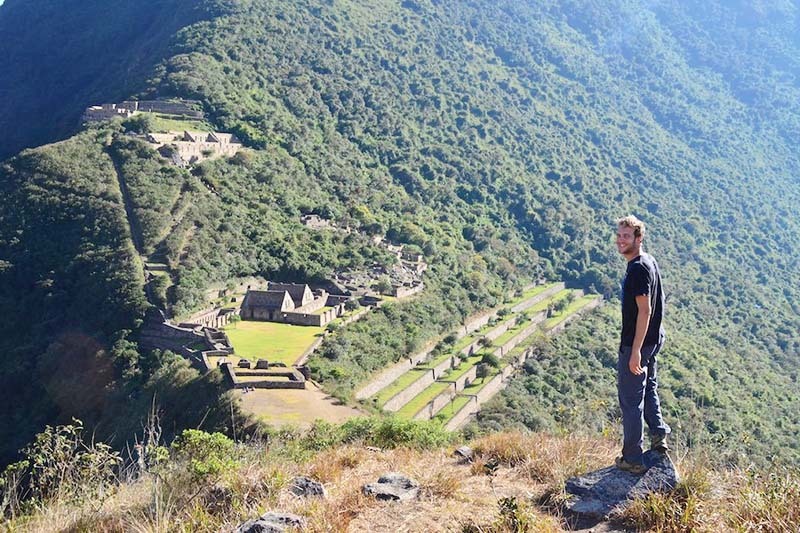 Choquequirao is a trip to a place with few people that does not end up being unearthed. Choquequirao is located 3,050 meters above sea level. The dry season (between April and October) is the best time to go to Choquequirao. Sweat, campsites and an incredible 4 day hike (2 outbound and 2 back) separate this ancient Inca city from any nearby road or hot shower. During those days, the route is easier due to the infrequent rainfall. To get to Choquequirao you must hire a tour service. This can be obtained through a tourism agency in the Tourist Center of Cusco or via internet. To visit Choquequirao you will first have to reach the town of Cachora (almost 4 hours by road). Then you will have to walk down to the Apurímac valley, closer and closer to the river bed of the same name. That night (the first) will camp in a place known as the Rosalina beach. The next day you must cross a river to begin the ascent to Choquequirao. That day you reach the remote village of Marampata. This small settlement serves as a gateway to ‘Choque’. After sunrise in Marampata, you will arrive to the Inca city of Choquequirao. When I got there you will see that this city is huge. It extends over three hills and has 12 sectors (some still to be excavated). Choquequirao is less photogenic than Machu Picchu but not less important. It offers a level of loneliness unimaginable in ‘other wonders’. The return path is less arduous than the outward journey. It lasts only 1 day. The first section is on foot from Choquequirao to Cachora. The last one is by car to Cusco. Some tours offer to continue the trip from Choquequirao to Machu Picchu. This epic journey of 9 days is known as the ‘Trail of the Incas’. 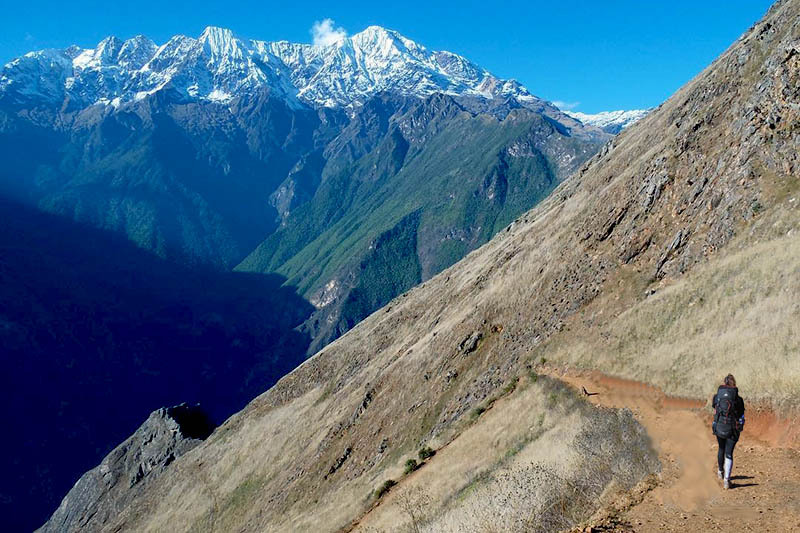 The Cusco – Choquequirao – Machu Picchu trekking route is one of the most incredible treks in Peru. The tours can last 8 or 9 days. On day 2, Choquequirao is visited, while on the 8th, Machu Picchu is visited. This route has a medium-high difficulty. The first section is a bus trip to the town of Cachora. The final return is with a trip by train and bus to Cusco. Tours include tourist guide service, transportation, food, entrance to archaeological sites and camping implements. Unlike the Inca Trail to Machu Picchu, the walk to Choquequirao does not need permits or tickets. This adventure can be done on your own. The first thing is to reach the town of Cachora. It can be reached from the city of Cusco or Abancay with public transport. It is important to calculate the weight of the luggage with the amount of food until arriving at Choquequirao. Only the necessary must be carried. Once in Choquequirao, you must pay the entrance to the archaeological site. The entrance includes a camping where to spend the night. The ticket allows to be 1 whole day in Choquequirao. Choquequirao has a temperate climate. The average temperature is 14ºC. During the dry season (from April to October) the heat reaches 25ºC. At night, the cold reaches 4ºC. In the rainy season (from November to March) fluvial precipitations happen more frequently. Altitude sickness or soroche is a malaise suffered by people in high places. It is advisable to acclimatize in Cusco at least 1 day before making the trek to Choquequirao. The ascent of Cachora to Choquequirao requires an important physical effort. It is recommended to prepare physically at least 1 week before the walk. This ascent is by the so-called ‘Apurimac Canyon’, where the temperature rises. It is advisable to start the walks very early to avoid heat. Once in Choquequirao, there is a longer and winding road that will take you to the ‘Casa de la cascada’. There are beautiful views on the edge of a cliff and a waterfall. In Choquequirao, the construction of a cable car 5 kilometers high and 1.5 meters high is being prepared. The cable car can transport 3 thousand people each day.